We just posted a copy of handyPrint v4.0.0a13. This is the alpha version of our next major release of handyPrint. Remember, this is alpha so it is still a little buggy and may crash as a result. It really is more for testing the new engine and provide us with feedback on how well it for you. 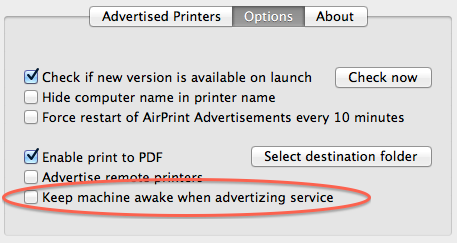 Advertise remote printers that are not directly shared by the Mac running handyPrint (Option above the Keep machine awake…). You can download the new version from the main application page under “Download alpha release”.